Our trucks follow your direction! Customers look for high performance with minimum consumption of resources and time and that is what we deliver. Our transport services are executed in accordance with all regulatory requirements. Transport of goods and logistics in and out of the country. Road transport of goods in Bulgaria with semi - trailers, hangers, mega – trailers and containers. 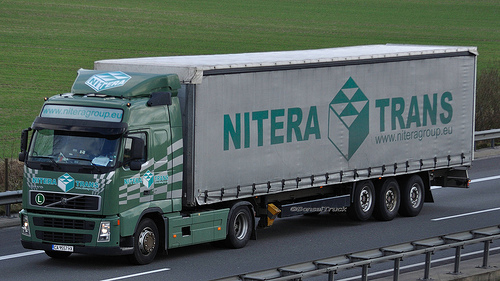 Road freight transport in Europe with semi - trailers, hangers and mega - trailers. Our transport - range from 1 to 22 tons. Our company has its own garage and workshop for the controls, repairs and maintenance.